You’ve heard it before – kitchens and bathrooms sell homes. Particularly for bathrooms, when searching Pinterest and Houzz for bath design ideas, the myriad of choices can be overwhelming. Where to start? Here’s a list that will help you narrow down what’s popular, what’s trendy, and what is most practical. Some of the latest shower designs are zero entry, or low threshold. These showers are larger and create a safer shower experience for all. Homeowners thinking long term are also installing shower seats and grab bars, currently on trend and no longer just for the aging. 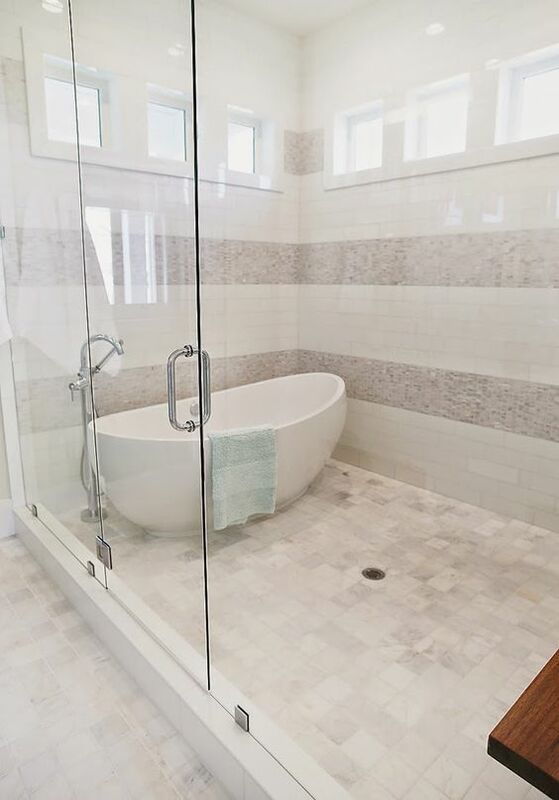 One example of a zero-entry shower is seen in one of Sater Design’s newest home plans, the “Carlton”. Bathtubs overall are declining in popularity but are still desired by those of us who like to soak after a long day, as well as for bathing the children. Freestanding tubs are quickly becoming the preferred choice for today’s bathrooms. They allow a lot of flexibility in their placement as well as in choice of size and shape, as shown here in Sater Design’s “Kelston”. Another popular and space saving idea is installing the tub inside the shower. 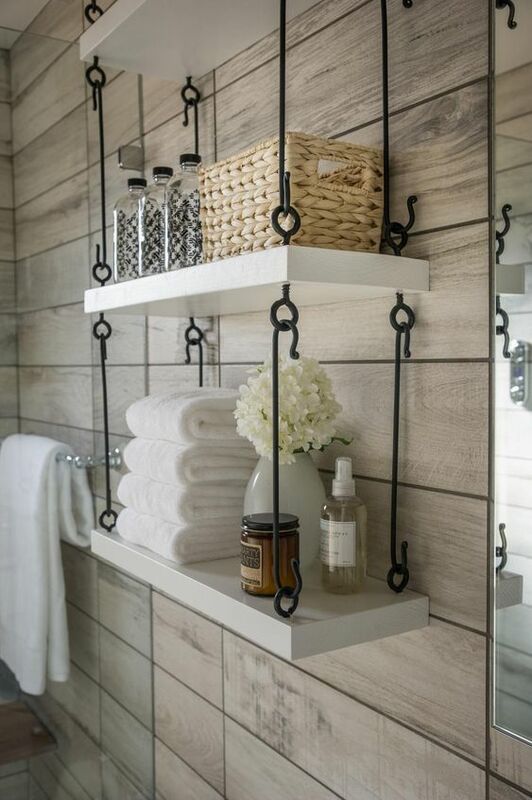 Especially if you have many visitors in your home, open shelving to hold towels and bath products is a trendy option. They can also be a great choice for children’s bathrooms, utilizing baskets on shelves for easy access and to help kids keep things organized and neat. But personally, I think reserving some closed in space for the items you don’t want on display is always a good idea! Even though still considered a luxury, heated floors are being installed more frequently in bathrooms, especially in colder climates. Heated floors are safe and energy efficient, and can allow you to keep the thermostat set lower in the colder months. It can also be a great selling point when listing your home. Low flow toilets and water efficient showerheads and faucets in bathrooms are quickly becoming the practical choice for homeowners. According to energy.gov, the savings can be 25-60% on water bills. Also, in drought-prone areas, these fixtures are particularly necessary and can make a significant difference. Along with the still popular brushed nickel and oil rubbed bronze, brass and stainless brushed steel bathroom fixtures are modern choices for 2016. 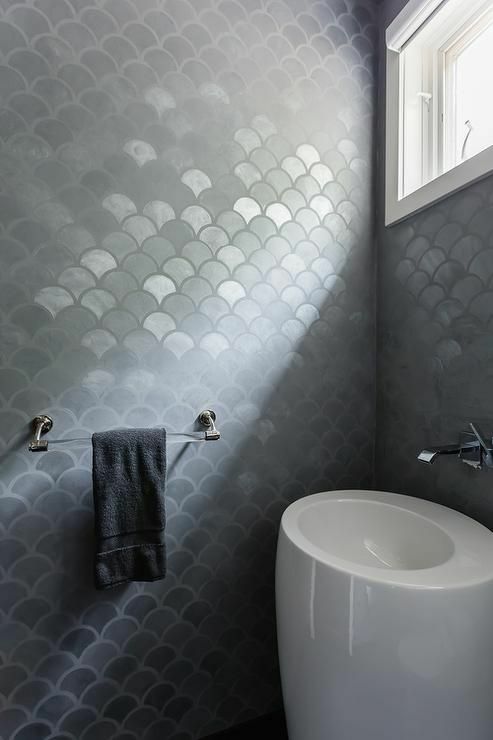 Lively and room enhancing metallic tile is also a hot trend. With the “transitional” style of bathrooms being the popular design choice today, mixing this contemporary look with more traditional elements allows you to create a space that is all your own. What is your favorite current feature for bathrooms? We’d love your feedback! For over 35 years, the foresight and ability of Dan F. Sater II, FAIBD/CPBD/CGP to create home designs that appeal to homeowners worldwide is unmatched. Because of this, the Sater Design Collection has become one of the country’s most recognized residential design firms specializing in luxury home plan designs. Whether it’s a pre-drawn home plan or a custom home design, let us help you find your dream home today!